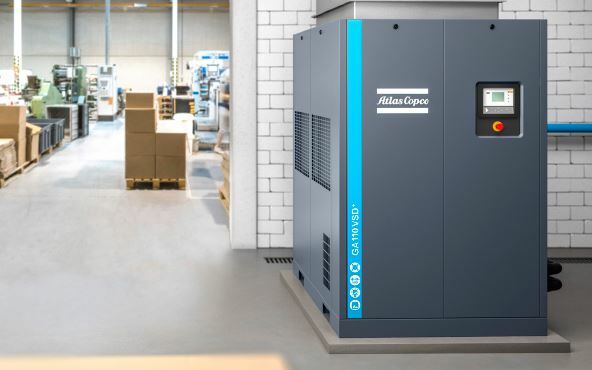 Atlas Copco’s GA 75-110 VSD+ brings a game changing revolution in the compressor industry. It offers Variable Speed Drive as standard, a powerful motor and a compact footprint thanks to its in-house designed iPM (Interior Permanent Magnet) motor technology. The GA 75-110 VSD+ reduces energy consumption by on average 50%, with uptimes assured even in the harshest operational conditions. The GA 75-110 VSD+ is the air compressor of the future, reducing electricity costs to a minimum and maximizing uptime. It fits even in the smallest compressor rooms. For more information about the GA 75-110 VSD+, please contact us.